벌교와 보성간의 국도변인 우천리 마을 앞 논 한가운데에 세워져 있는 탑이다. 이 곳은 절터로 추정되나 문헌에 남아 있는 기록이 없고, 전해지는 이야기로는 징광사에 딸린 부속 절이 있던 곳이라 하기도 한다. 탑은 기단(基壇)의 일부분이 땅 속에 묻혀 있고, 바닥은 시멘트로 발라져 밑부분의 정확한 모습을 알 수 없다. 드러난 기단부에는 기둥을 본뜬 조각이 새겨져 있다. 탑신(塔身)은 3층을 이루고 있으며 몸돌과 지붕돌이 각각 하나의 돌로 이루어져 있고, 몸돌에는 모서리마다 아주 얇게 기둥모양을 본떠 새겨놓은 것이 보인다. 지붕돌은 밑면의 받침이 4단씩이고, 처마 밑은 수평을 이루었으며, 네 귀퉁이에서 살짝 들려 있다. 꼭대기에는 머리장식으로 노반(露盤:머리장식받침)과 복발(覆鉢:엎어놓은 그릇모양의 장식)만이 남아 있다. 1970년에 해체하여 복원한 것으로 각 층 몸돌과 지붕돌의 비례가 잘 맞는 것으로 보아 통일신라시대인 9세기경에 조성된 것으로 짐작된다. 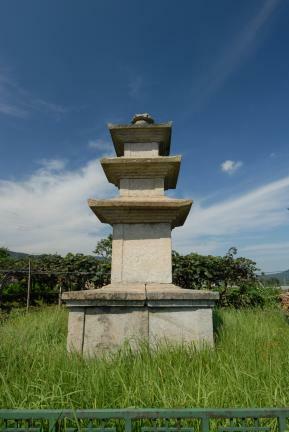 This stone pagoda is located at the rice field in Ucheon-ri along the national road between Beolgyo and Boseong. This area has long been considered an ancient temple site, but no written record remains. 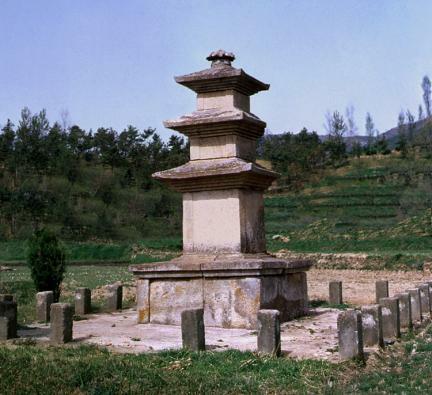 According to a local legend, it was an annex site of Jinggwangsa Temple. 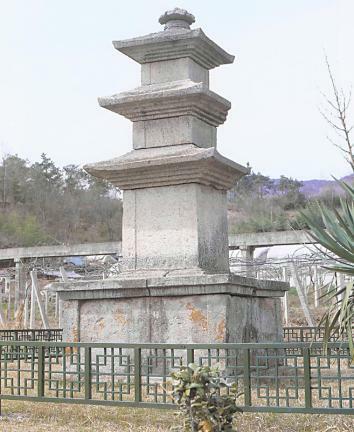 The exact feature of the lower part cannot be seen because the platform of this pagoda is partially buried under the ground, and the surface around it is covered with cement. Some carvings resembling the pillar are shown on the exposed platform above the surface. 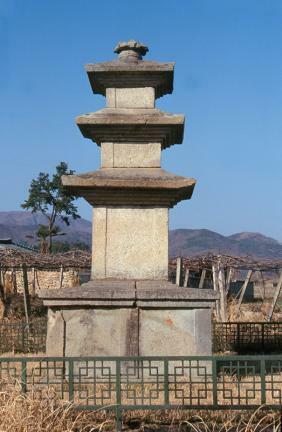 The pagoda body is a three-story body. 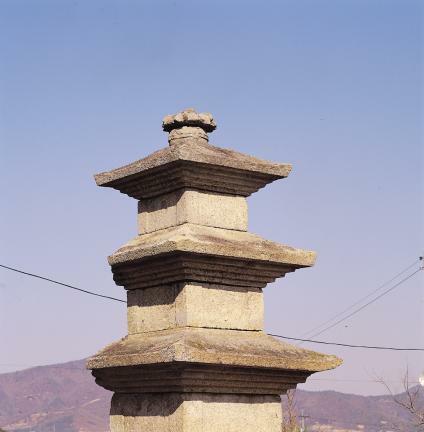 Each roofstone and the body are made of single stone, and the body has very thin carvings of pillar design at every corner. 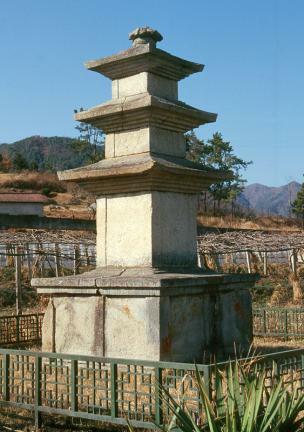 The roofstone is supported by four layers and equipped with flat eaves but was extended slightly upward at every corner. 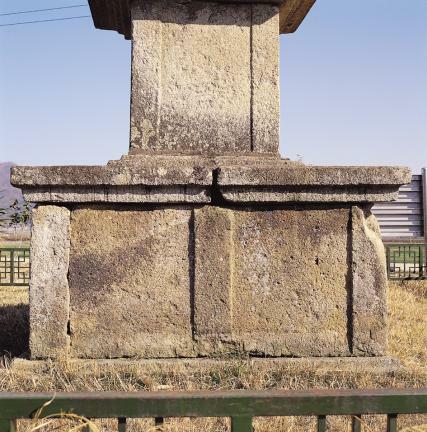 What remains at the finial part is the base to support the head ornament and the semi-spherical ornament. 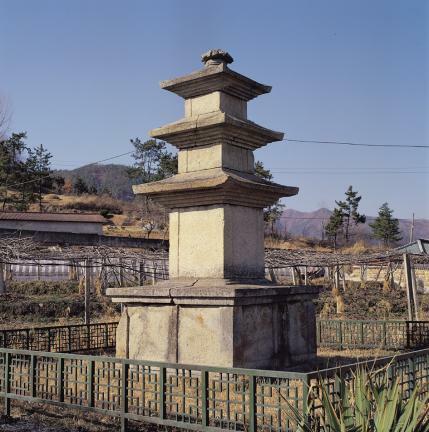 This pagoda was dismantled and reassembled in 1970 and is presumed to have been built around the 9th century during the Unified Silla Period, since it shows a well-balanced scale between the body of each story and the roofstone.